This class can be used to dump the definition of a variable generating an HTML tables to present better non-scalar data types like arrays and objects. The variable definition dump is displayed in a color table, similar Coldfusion's cfdump tag command. 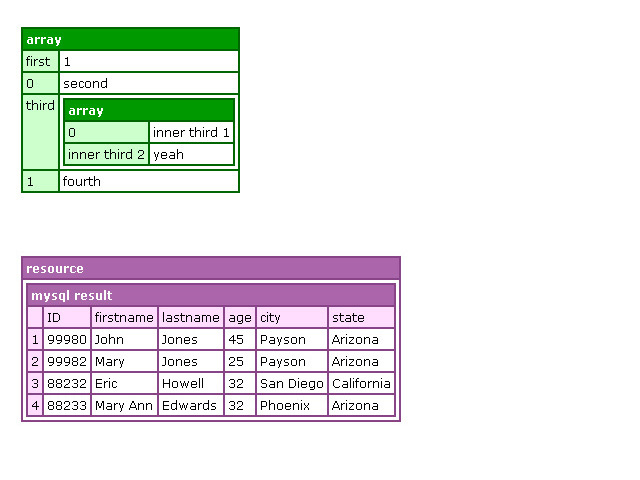 The dumped table presentation details is customized using CSS stylesheets.